RBTH presents a selection of views from leading Russian media on international events, featuring reports on Russia’s decision to fight Yukos shareholders in a U.S. court, hopes that Poland will move to improve relations with Moscow; and furthers cuts to the budget for the FIFA World Cup 2018 in Russia. 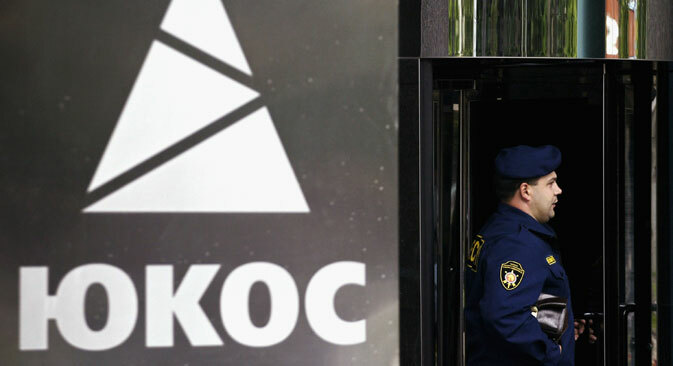 The Russian business daily Kommersant reports that after the seizures of Russian state assets in France and Belgium, the authorities have decided to participate in proceedings in the U.S. in the case brought by former shareholders of now-defunct Russian oil company Yukos. The plaintiffs are seeking the enforcement of the decision of the Permanent Court of Arbitration in The Hague, which awarded them $50 billion. According to the newspaper, the interests of the Russian state will be represented by the law firm White & Case, which has already been able to agree to extend the deadline for the submission of objections by the Russian side. The lawyers cited the “extraordinary” nature of the case and the particularly large amount claimed by the plaintiffs as grounds for the postponement. They also referred to the enormous volume of data in the case, which has lasted for almost a decade – 3,300 pages of transcripts, 6,500 pages of written explanations, 11,000 testimonies and items of physical evidence, writes Kommersant. Under the amended schedule, Russia has the right to send its position on the case until Oct. 20, inclusive; the applicants have the right to submit their objections until Dec. 22, after which Russia is allowed to give its reply until Jan. 29, 2016. The online publication Vzglyad tells its readers that Poland hopes to improve relations with Moscow. According to the website, this is evidenced by the words of Poland’s ex-Prime Minister Leszek Miller. “We hope that the new head of the Polish state will attempt to start cooperation with Russia,” he said. The Polish Social Democrats hope that the new President, Andrzej Duda, will try to “unfreeze those icy relations that have been established between Moscow and Warsaw in recent years,” he added. However, on the whole, Piskorski advises not to expect drastic changes with the arrival of a new president, since the powers of the head of state are rather limited and his decisions are largely symbolic, writes Vzglyad. A member of the Democratic Union of Left Forces, Tadeusz Iwiński, told the website that Poland should establish diplomatic cooperation with Russia. “Poland has become a country that does not have a dialogue with the Kremlin at a high level. In the last six months, neither the president nor the prime minister spoke with their Russian counterparts,” he said. Preparation costs for the World Cup in 2018 are to be reduced to 151.4 million rubles ($2.3 million), reports centrist newspaper Nezavisimaya Gazeta, citing a decree issued by the government of the Russian Federation. According to the initial decree on preparations for the 2018 FIFA World Cup, 664.1 billion rubles ($10.4 billion) was to be spent on the whole program. Of this, 336.2 billion rubles ($5.2 billion) was to be allocated from the federal budget, 101.6 billion rubles ($1.5 billion) from regional budgets and another 226.3 billion rubles ($3.5 billion) from extra-budgetary sources, writes the newspaper. Starting from May this year, the overall costs have been reduced almost on a monthly basis; according to government documents, it is funds from regional budgets and off-budget sources that are being reduced, but not from the federal budget, writes Nezavisimaya Gazeta. Igor Nikolayev, director of FBK's Strategic Analysis Department, said in comments to the newspaper that the 2018 World Cup is no longer such a significant prestige project for Russia. Therefore, he said, the decision to reduce the budgets for the World Cup looks logical. “At a time when social expenditures are shrinking, to increase spending on major sports events could only bring image losses to the state and the government,” he told Nezavisimaya Gazeta.